In Shanghai they're preparing for us. We arrive on the 16th. 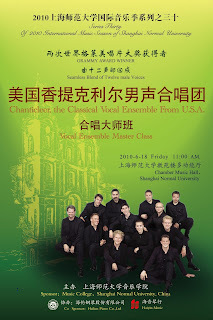 On the 17th we join our patron group for dinner, then on the l8th we do two musical exchanges - in the morning with Shanghai Normal University, and in the afternoon with the San Francisco Conservatory. Saturday is the day of the big Gala - we don't know much, but we'll certainly be keeping you up to date! 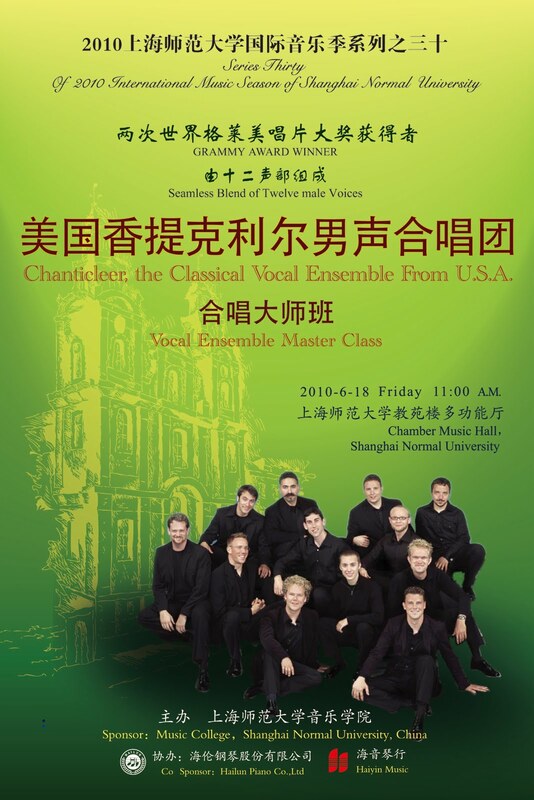 Sunday we perform in Shenzen at the magnificent concert hall there, Tuesday we come home! Join us vicariously on the blog - there are sure to be stories.